The IP66 camera means water resistant and weatherproof. That’s what most IP66 camera producers advertise, and probably pretty much all you know about them. And that’s not enough! Actually, IP66 is just a rating that indicates the dust and water resistant level of the enclosure, and there are other similar types like IP67, IP65 and IP54 cameras as you may see on the market. So what does ip66 rated mean exactly? Could the IP66 CCTV cameras stand the heavy rain, strong wind or terrible snow in your area? IP66 vs. IP67 cameras, what’s the difference and which one should you invest in? What’s the best IP66 security camera? Find all the answers below in minutes. An IP66 camera is the one that has a solid housing that provides complete protection to the dust and powerful water jets, meaning it could stand the heavy rain, wind and snow outdoors. Actually, the IP code, International Protection or Ingress Protection Marking, is a rating that indicates the level of protection against dust and water provided by the enclosure. The second digit represents the level of protection against fluids. Generally speaking, the larger the number is, the higher level of protection provided, as the chart below shows. You may see IP54, IP67, IP65, or IP66 cameras on the market claiming to be waterproof. But there could be huge differences between them – as the chart above suggests. Generally speaking, the IP65 (battery powered ones) and IP66 cameras would be no mistake in any environment, and the IP67 cameras could be overkill for home use and not a cost-effective option. IP66 cameras, also called waterproof cameras, are the most common ones, and they are completely impervious to natural elements. That’s to say, you can place them outdoors in any weather condition like the extensive rain or heavy snow, even in Canada and Russia. IP65 cameras, or so-called weatherproof cameras, are also popular, especially in the battery powered cameras world (why is that? ), and they should be enough to guard your house or establishments in the rain and shine – as long as there is not extensive rainfall in months. You may check the water test video of the IP65 rated Reolink Argus® 2 to get a clearer idea of its durability. IP67 cameras are not very common in security cameras and you’ll find them more cost-effective if you have specific uses, like monitoring things under the water. IP54 cameras could only protect the camera from splashing water, which is far from enough to resist powerful rains. So it’s advised to find a shelter for the IP54 camera if you use it outdoors. * There is also a comparison chart for your reference. Whether to go for IP66 security cameras or IP65 ones actually depends on what kind of security cameras you are looking for. Most outdoor battery powered cameras are designed with a special plastic casing. For this reason, IP65 cameras are the best you can find on the market today, and Reolink Argus® 2 is the top one of them. While the hard wired or WiFi cameras, which you could normally see on the street and around the neighborhood, mostly come with metal housing, and therefore the IP66 camera enclosure is now the industry leading standard for this type of cameras. IP66 cameras are the first choice for outdoor surveillance, like the front door, backyard, driveway or the wild, and for the business where the washdown operation is a normal practice. However, there could be different best matches for different installation place and monitoring purposes. 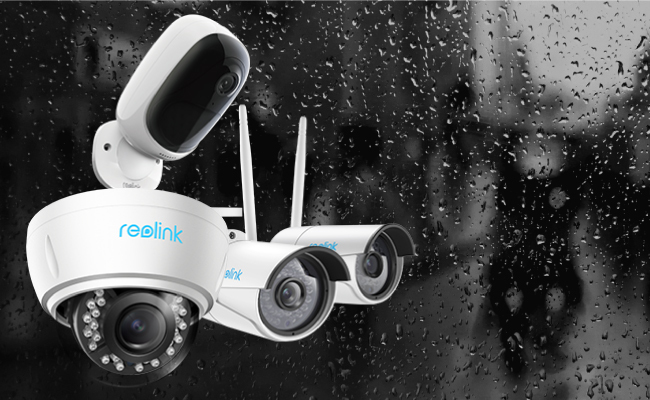 If you want an IP66 WiFi camera that is IP66 waterproof and WiFi connection combined, the Reolink RLC-410W is the one, and it will surprise you with no compromise in other features at a totally affordable price. 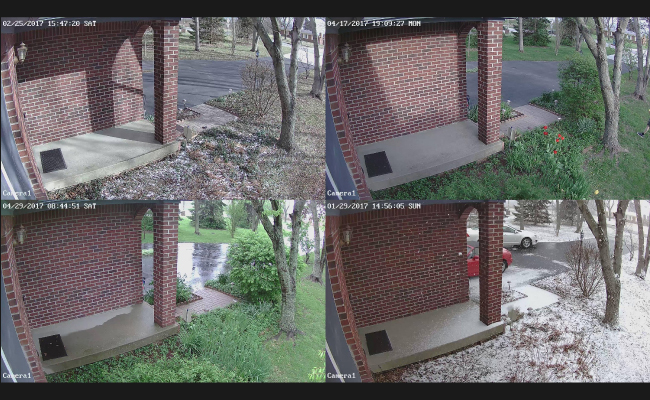 Here is a group of pictures shared by Reolink users, showing the stability of this IP66 WiFi camera in all kinds of weather conditions. This mini IP66 bullet camera could be easily mounted at high positions inconspicuously like under the eaves to guard your front door area, garden, backyard, driveway, garage, etc. Its tiny body also reduces the risk of suffering from the natural elements like the possible rain, snow and wind. Check its basic features to get a better understanding of this IP66 bullet camera. 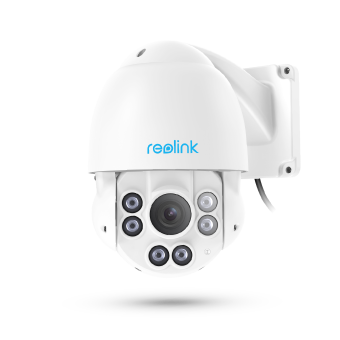 If you want a real solid guardian in the outdoor to stand the unpredictable weather and don’t know which one to choose, the IP66 bullet camera Reolink RLC-410 would be the safest choice and it will never let you down at a surprising price. *The IP66 bullet camera Reolink RLC-410 captures the first beautiful day after the lasting snow. 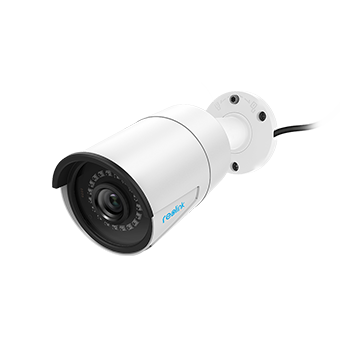 It is a PoE camera which provides a plug and play solution. Find more features of this IP66 dome camera in the chart below. If you want an IP66 dome camera that you can easily hide under the eaves or other places, or an IP66 waterproof camera with the optical zoom function to see more details without getting closer, RLC-422 is the best choice. Look for IR IP66 camera with exceptional night vision? 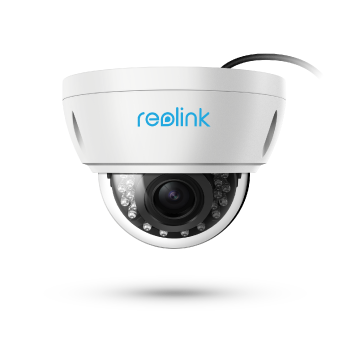 Reolink RLC-423 is the one. It could see things 190ft away clearly even in low light conditions – that’s where most security cameras fail to work. And it could also do PTZ, which extends its field of viewing greatly and leaves you no blind spots! Check out the detailed features of this IR IP66 camera via the chart below. 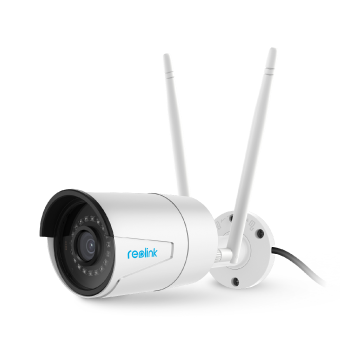 Now join the winter fun after the harsh snow with the IR IP66 camera Reolink RLC-423. As I put it earlier, the highest IP rating you may expect for a battery powered camera is IP65 and that’s enough to work in most environments, like the dry hot summer in California and the cold moist winter in New York. So with no compromise in the working environment and no wires at all, this IP65 battery powered camera offers you easiest installation than ever before: just put the batteries in, you can place it anywhere you like – even mount it on the tree in the wild with a strap! For a closer look at the IP65 camera Reolink Argus® 2, check the specification chart below. A Reolink user shared his refreshing moment with Reolink Argus® 2 in the rain. Check below. 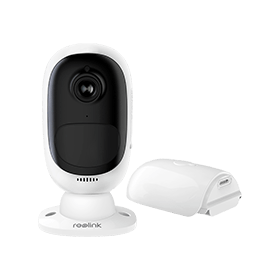 Reolink, the industry leading security camera producer, offers a full range of IP65 and IP66 cameras as listed above, with responsive support, 2-year long warranty and updated resources to help you get the most out of security cameras. * Click here to download the latest Reolink IP66 CCTV camera software. * Click here to find all the Reolink IP65 and IP66 security cameras’ manual. If you still have trouble finding the right IP66 camera, you may leave us a comment down below and we’ll get back to you very soon, or you may contact the support team for help. Whether the IP66 camera could survive the extreme weather could be the first question that pops up to your mind if you live in Canada, Russia or other cold areas. But no worries, the answer to the above question is absolutely yes! Actually, the IP65 camera Reolink Argus®2 could make it too. You may be careful enough to find the operating temperature for most IP66 security cameras would be something like -10°C~+55°C, but that doesn’t mean they couldn’t work in harder environments. Here is the thing: The IP66 CCTV camera working temperature actually indicates the requirement to start the camera. That’s to say, even if your local temperature couldn’t meet the required operating temperature all the year round, you could still use the camera by starting it indoors and then moving it outdoors! And that’s why Reolink cameras, especially the Reolink Argus® 2, become hot sellers in Canada, Russia and other cold places even without a heater or something you might have thought of. * We’ve also covered a cold weather IP security cameras buying guide, you may also check it out. Yes, the IP66 cameras are waterproof, which literally means you can put it anywhere outdoors. Yet, any obstruction on the IP66 security camera lens could affect the image clarity and the IP66 cameras could be more durable with careful installation and placement. #1. Place the IP66 weatherproof cameras under the eaves or ceilings, which will make the IP66 security camera less conspicuous and protect it against the natural elements at the same time. #2. Build a shelter for the IP66 camera when necessary. You may make use of a plastic bottle, pot or something like that to DIY an IP66 security camera housing. #3. Dress the IP66 camera with skins or special housing. For example, Reolink Argus® 2 offers various skins with different colors which provide a level of protection and make it easier to hide. This entry was posted in Buyer's Guide and tagged ip66, weatherproof security cameras.